Is forest certification targeting areas of high biodiversity in cork oak savannas? Over the last four decades the world has been losing biodiversity at an alarming rate despite the increasing number of protected areas (PAs). Certified forest management may complement the role of PAs in protecting biodiversity. Forest certification aims to promote sustainable forest management and to maintain or enhance the conservation value of certified forests. The area of forest under certified forest management has grown quickly over the past decade. Forest Stewardship Council (FSC) certification, for example, currently covers 148 million hectares, i.e., 3.7 % of the world’s forests. In spite of such increase there is, however, a dearth of information on how forest certification is related to biodiversity. In this study we assessed if FSC certification is being applied in high biodiversity areas in cork oak savannas in Portugal by comparing biodiversity values of certified and non-certified areas for birds, reptiles and amphibians. We calculated the relative species richness and irreplaceability value for each group of species in certified and non-certified areas and compared them using randomization tests. The biodiversity value of certified areas was not significantly greater than that of non-certified areas. Since FSC certification is expanding quickly in cork oak savannas it is important to consider the biodiversity value of these areas during this process. 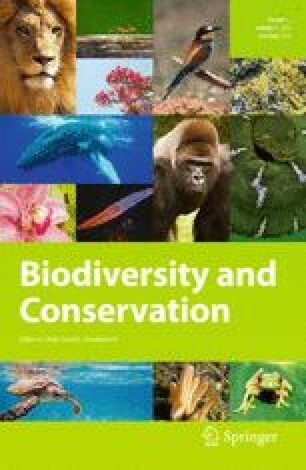 Prioritizing areas of high biodiversity value would enhance the conservation value of forest certification and facilitate integrating certification with other conservation initiatives. The authors were supported by the Portuguese Foundation for Science and Technology (FCT). FSD was supported by a PhD grant (SFRH/BD/69021/2010), MB was funded by the project PEst-OE/AGR/UI520/2011 and JOC and MJM were funded by the project PEst-OE/AGR/UI0239/2011. We thank ICNF and Luis Costa of SPEA for providing the biodiversity data and to Diogo Alagador for his comments on a previous draft of the manuscript and for his help with CPLEX. We also thank the two anonymous referees for their helpful and insightful comments that substantially improved the manuscript.